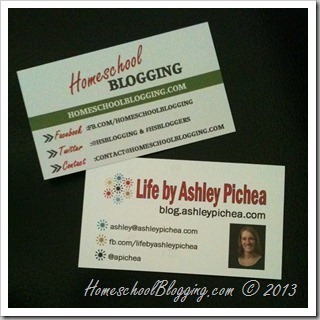 Homeschool Blogging is heading to two amazing homeschool blogging conferences this spring, and we’re hoping to see you at one (or both) of them!! To help you get ready, we wanted to share our “preparing for a blog conference” checklist with you. Business cards are one of the first things I think about when preparing for a blog conference. If I have some left over from a previous blog conference, I pull them out to see if the information on them is still accurate. If not, I pull together a new design/layout and place an order with OvernightPrints.com! I had to design new cards for the BEECH Retreat and 2:1 Conference this spring, and I decided to go with double-sided business cards that had both of my blogs on one card. Before you ever leave for a blogging conference, get to know some of the other attendees, the speakers, and the brands that will be at the conference. Twitter and Facebook are great ways to interact with and “meet” many of these people. Most blogging conferences have a Twitter hashtag that you can follow and use, and many form private Facebook groups for conference attendees. Make a “must meet” list of online friends and brands you want to connect with before arriving at the conference. It’s easy to become overwhelmed and miss out on an opportunity if you don’t plan ahead! Do you have a media kit ready to share with potential brand partners? While it’s not imperative to hand a printed copy of your media kit to brands at a blogging conference, it’s important to at least have a digital copy ready to share. I have a basic overview of my media kit available on my website, with a more detailed PDF version available via email upon request. Be sure to take some time to create and/or update your media kit before attending a blogging conference. Make sure to send it out to any potential brand partners as soon as you get home (or while you’re at the blog conference) to follow up on any conversations started at the blog conference. One of the side effects (hopefully) of attending a blog conference is that you’ll have lots of new visitors to your blog in the days following the conference. Take the time before you leave to clean up your blog, making it attractive to new visitors and potential brand partners. 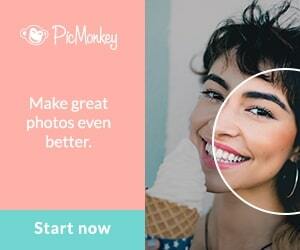 Home Page– is it clean and inviting? 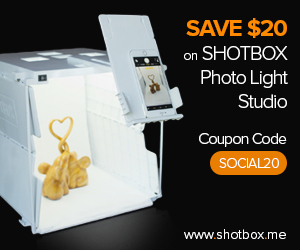 Are your social media and subscription options highly visible? Do you have a “search” box available? 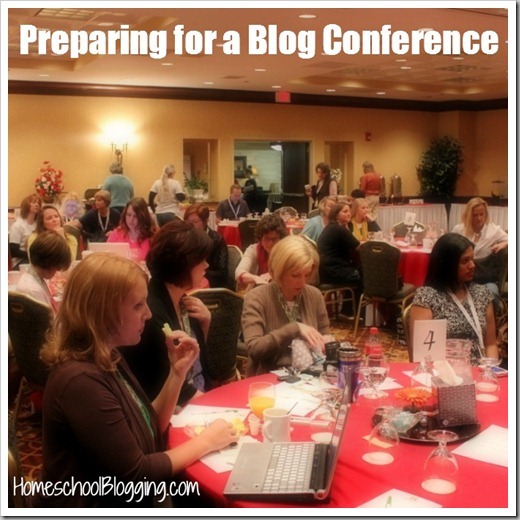 While you’re at the blog conference, you most likely will not have time to sit and blog. It’s a great idea to pre-write and schedule posts for your readers while you’re gone. I also recommend having posts scheduled for the first few days after you return, so that you can focus on processing what you learned at the blogging conference instead of focusing on creating new blog content. When’s the last time you looked at your Twitter profile or updated your Facebook photo? Take a few minutes to update all of your social media profiles with a recent photo of yourself (you want people to be able to recognize you), and update any information in your bio. Most blog conferences post a schedule of events online before you arrive. Take a few minutes to look over the schedule and the sessions that will be offered when preparing for a blog conference. Make a list of the sessions you want to be sure to attend. Different people have different goals for attending different blogging conferences. Before leaving for each blog conference that I attend, I take some time to sit down and think about my purpose for attending and list out some goals that I want to accomplish as a result of attending the conference. This helps me to stay focused while at the blog conference and not get lost in the crowd. By the time the blog conference is over, there is a good chance that you will be overwhelmed by all the new knowledge and insight you’ve gleaned. It may take you a few days (or weeks) to fully “recover.” Part of preparing for a blog conference is having a strategy in place for coming home. Having a plan for “re-entry” back to your “real world” without losing the momentum and inspiration you gained is important. If you are flying home, use your plane ride/layovers to create a list of actionable tasks to implement based on your new knowledge/insight. Set aside a few chunks of time over the first week or so that you are back home to be able to sit and work on implementing some of the knowledge you gained. Find a blogging accountability partner at the blog conference to help you stay focused and on target with your new blogging goals. Arriving at a blog conference and finding that you’ve forgotten an essential item is never fun. Be sure to start a packing list early, and talk with other attendees to find out what essentials you won’t want to leave behind! Empty space in your suitcase – you won’t want to have to leave swag behind at the conference because you didn’t have room in your suitcase to bring it home! What other tasks are important when preparing for a blog conference? Preparing for a Blog Conference is linked up with Top Ten Tuesday at Many Little Blessings… won’t you join us there? couldn’t agree more – especially with the profile pics. My 1st conference was a shock I didn’t recognize the women there! It’s amazing how old we let our profile pics/about pages get!! Great list! I am amazed to say I have actually done most of the items on it! Now to complete those I haven’t. Can’t wait to meet you at BEECH! Awesome tips! Thanks for sharing! See you shortly! I really appreciate you sharing this list! I just booked my tickets to BEECH a few days ago and so am scrambling a bit to get everything done. Hopefully this will help me focus on what’s important. I look forward to meeting you very shortly! So excited you’ll be at BEECH… can’t wait to meet you! !